> POPCORN: Poppin’ Fun All The Time! POPCORN: Poppin’ Fun All The Time! 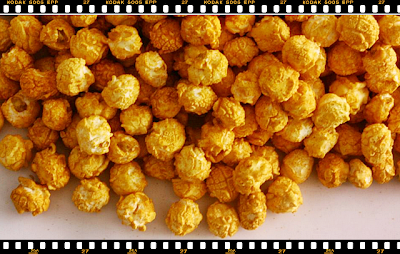 Let’s face it, the best thing about watching a movie is the popcorn! All popcorn has big mushroom style popcorn flakes that is the same as what you pop at home. Caramel is my favorite flavor. It is not so sweet yet it has a burnt sugar flavor. Burnt sugar has a rich caramelized toffee aroma and flavor. So yummy! But why spend hundreds of pesos to popcorn when you can do it yourself! Yes, folks! Just buy any brand of popcorn from your friendly grocery store then pop it on your microwave oven! Nakatipid ka na!